The EPL-HB-400W-MH metal halide, hazardous area light fixture from Larson Electronics produces 36,000 lumens of light capable of illuminating an area 18,000 square feet in size. Weather proof and U.L. listed for marine use, this IP67 rated metal halide fixture is available in pendant, ceiling or wall mount versions and is an ideal choice for industrial applications and use in enclosed spaces. The versatile EPL-HB-400W-MH metal halide fixture from Larson Electronics is approved for use in wet marine locations and is ideal for industrial applications, confined spaces, hazardous work areas and Class 1 DIV 1 & 2 areas where a powerful and durable floodlighting solution is needed. The lamp housing is weatherproof and constructed of cast aluminum featuring a heavy duty, mogul base lamp socket, tempered and heat resistant glass dome and cast aluminum dome guard. This unit is available in pendant, ceiling wall, stanchion, and pole top slip fitter mount versions and includes stainless steel exterior hardware for added resistance to the salt water conditions found in marine environments. This hazardous area light is U.L. rated Class 1 Division 1 and 2, Groups C and D and UL1598 listed for outdoor marine use and approved for hose down conditions. The integral multi-tap ballast is protected within the weatherproof housing and can be operated on 120, 208, 240 and 277 Volts AC for quad tap ballasts, or 347/480V for 480V ballasts. This lamp is suitable for use in confined spaces and areas where wet marine conditions exist. The multi-purpose floodlight design of this fixture makes it a popular choice for industrial and marine applications regardless of whether the locations are designated hazardous or not. The aluminum fixture body is electrocoated for durability and corrosion resistance while a tempered glass globe protected by an aluminum globe guard provides lamp security against impacts and the elements. 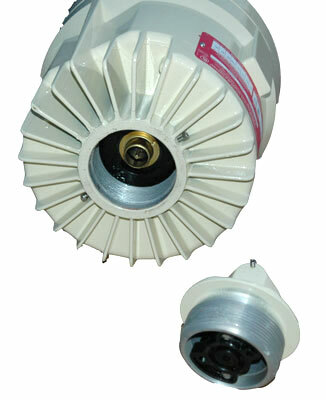 Wiring: This light is highly durable and produces high 36,000 lumen light output in a wide flood pattern. 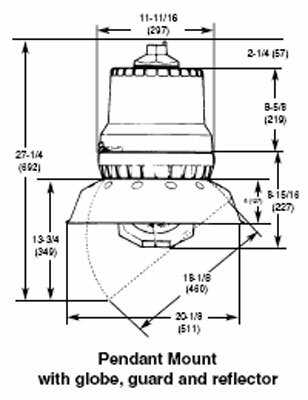 Wiring is through a convenient ¾ inch NPT conduit entrance. Three-conductor No. 14 cable (with 90° C minimum insulation) is recommended for making electrical connections. Wiring is accomplished through the wiring enclosure provided on the fixture. The box is provided with a size 3/4-in. NPT threaded conduit opening. Wiring methods must comply with NFPA 70 (The National Electrical Code). 1. High Efficiency Metal Halide lamp. 2. 90 Lumens per Watt. 8. Corrosion Resistant Marine Approved. According to OSHA, 30,000 U.S. facilities are at risk of fires and explosions caused by the presence of combustible dusts. OSHA also notes that between 1980 and 2005 118 workers were killed and another 718 injured in incidents involving a combustible dust explosion. Aluminum, steel, coal, grain, plastics, resins, flour, wood and a whole list of others both organic and non organic can become extremely flammable when ground, shaved or in some other way processed into fine particulates.